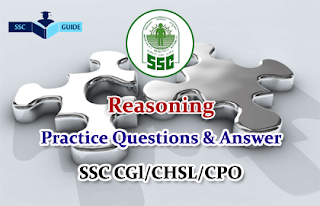 Dear Readers, Important Practice Reasoning Questions for SSC CGL,SSC CHSL, SSC CPO Exams was given here, candidates those who are preparing for those exams can use this material. 1).There are some boys and dogs at a place. If the total number of heads is 7 and total number of heads is 7 and the total number of legs is 20, how many boys and dogs are there? 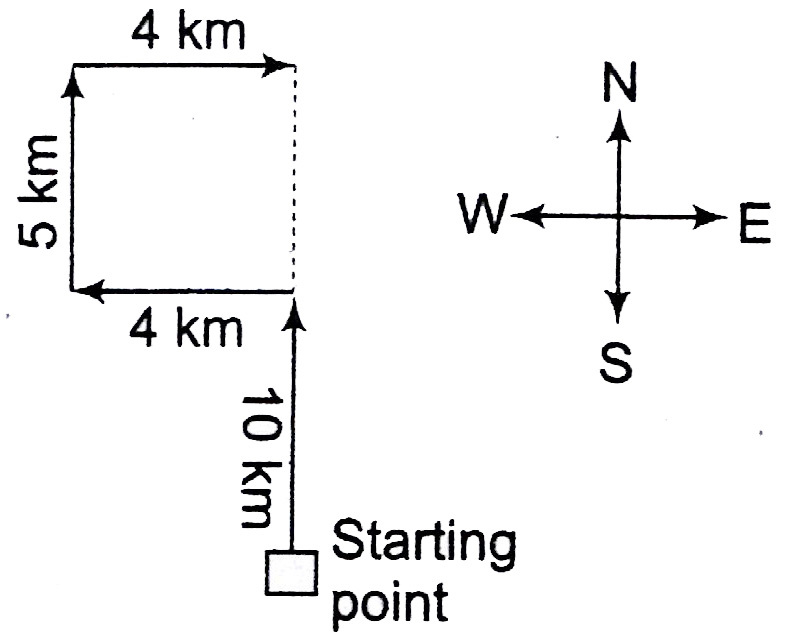 2).Ram travels 10 km towards the North, turns left and travels 4 km and then again turns right and covers another 5 km and then turns right and travels another 4 km. How far is he from the starting point? 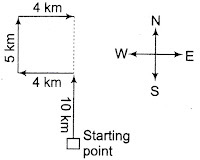 3).A, B, C and D are four friends. Average age of A and C is 35 yr and that of B and D is 40 yr. Average age of B, C and D is 40 yr. The sum of the ages of A and D is equal to that of B and C. Find out the ages (in yr) of A, B, C and D.
4).A word is given in capital letters. It is following by four words. Out of these four words, three cannot be formed from the letters of the word in capital letters. Point out the word which can be formed from the letters of the given word in capital letters? 5). A word given in capital letters is followed by four words. Out of these only one cannot be formed by using the letters of the given word. Find out that word. 8).From amongst the given alternative, select the one in which the set of numbers is most like the set of numbers given below. 10).Mayank ranks 11th from the top and 25th from the bottom. How many students are there in the class? Hence, PISTON word can be formed from the given word. 5). There is no’K’ letter in the keyword. Therefore, the word YOKE cannot be formed.